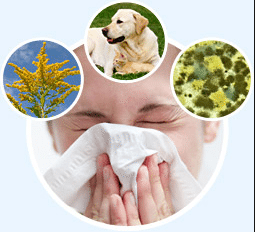 Home > Uncategorized > Suffering from Allergies? Try These Natural Antihistamines! There are natural antihistamines available for allergies. Regardless of the season, everyone can suffer with allergies now and then. 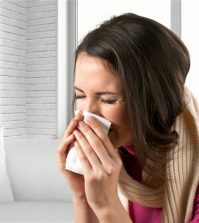 Common allergy triggers like certain kinds of foods or dust can cause them. Allergens can release histamines that attack the body’s cells. This results in symptoms such as runny nose, watery eyes and sneezing. Congestion, itching, sneezing and swelling of nasal passages are other common symptoms. There are numerous antihistamines to choose from. However, most have numerous negative side effects that can outweigh any benefits. Natural antihistamines can put a stop to these symptoms that may be putting your health at risk. First generation histamines can work by blocking the histamines. In addition, they are also capable of crossing the blood-brain barrier and interacting with a number of receptor sites. This causes a sedating effect that can induce a good night’s sleep. Being sedated isn’t necessarily dangerous but interfere with the body’s recovery time. This is especially when the brain is normally storing memories and retaining learning. That sleepy feeling that’s brought on by antihistamines can result in impaired cognitive functions, memory problems and psycho motor performance. Serra Enzyme – Serrapeptase is a proteolytic enzyme that digests certain types of protein and dissolve inflammation in the body. It breaks down dead tissue, reducing swelling, redness and pain in the process. Serrapeptase also affects mucus production, improving the drainage process. SerraEnzyme 80,000IU is best for this purpose. Vitamin C – Liposomal Vitamin C works as a potent antioxidant. It is capable of entering the bloodstream fairly quickly where it can work as an effective antihistamine. Vitamin C prevents histamine from forming rather than blocking the receptor sites. It’s also capable of reducing the inflammation and promoting a better immune response. Altrient C can help with this. Soil Based Probiotic – A soil-based probiotic can help with maintaining GI tract microfloral ecologies. Probiotics can support the normal absorption of nutrients into the gut. Prescript-Assist can help for this purpose. It contains over 29 probiotic microflora mixed with a humic/fulvic acid prebiotic that enhances SBO proliferation. 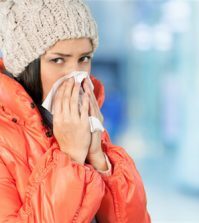 In addition, any allergies start in the gut as a sign that the body’s immune system is working overtime. A probiotic helps to improve many of the symptoms, making it an effective treatment for people with allergies. Stinging Nettle – This is a common herb that is a natural antihistamine, often found in natural medicine. Research from the Northwestern Health Sciences University College of Chiropractic and the National College of Chiropractic Center supports its efficacy. This study explains that 58% of participants found relief for their symptoms after taking 300mg of freeze-dried nettles daily. Colloidal Silver – This can promote a strong immune system and help it to work more efficiently. It can help to reduce fatigue and has no side effects. Hydrosol Silver is the ideal choice if you have any kind of allergies, rhinitis, laryngitis, etc. I would like to buy the Serrapeptase and all the supplements form the book “The Miracle Enzyme Is Serrapeptase”. What WEB to visit for buying ? You can also contact the Good Health Coaching Centres for complimentary health coaching and advice. http://www.MyGoodHealthClub.com, phone (UK)0800 802 1127 (US)1-844-344-2262, or email our Health Coaching Administrator direct at admin@MyGoodHealthClub.com. Hello Eric, no there is no benefit to inhaling the serrapeptase, it is best to allow it to absorb via digestion. 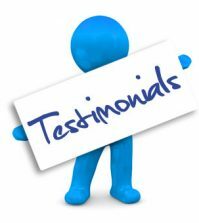 It’s great to hear you are feeling so much benefit from using the serrapeptase already and thank you for sharing your story with us. Home > Sin categorizar > ¿Sufres con Alergias? ¡Prueba Estos Antihistamínicos Naturales! Hay antihistamínicos naturales disponibles para las alergias. Independientemente de la temporada, todos pueden sufrir alergias de vez en cuando. Los desencadenantes comunes de las alergias, como ciertos tipos de alimentos o el polvo, pueden causarlas. Los alérgenos pueden liberar histaminas que atacan las células del cuerpo. Esto produce síntomas como secreción nasal, ojos llorosos y estornudos. La congestión, picazón, estornudos e hinchazón de las fosas nasales son otros síntomas comunes.